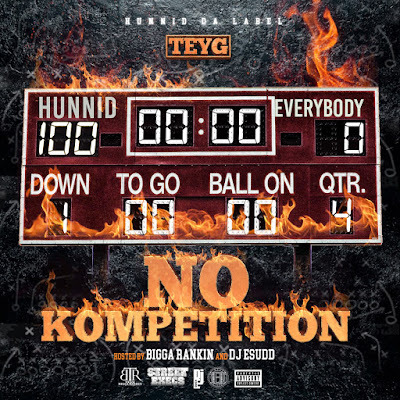 Hunnid Da Label releases new mixtape from artist TEYG "No Kompetition" hosted by Street A&R OG Bigga Rankin and 2 Chainz's DJ, DJ E Sudd. This mixtape demonstrates the hardwork and talent artist TEYG has. "My only Kompetition is me", states TEYG. Hardwork is what determines who wins in this game of life. This is a download you won't regret.